Azusa Unified School District received Round 2 of The California Department of Education Preschool Expansion Grant for $741,410! - California Consulting, INC.
Azusa Unified School District received Round 2 of The California Department of Education Preschool Expansion Grant for $741,410! 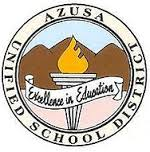 California Consulting is pleased to announce our client, Azusa Unified School District, received round 2 of The California Department of Education Preschool Expansion Grant for $741,410. Congratulation to Azusa USD and California Consulting’s grant writing team on the successful application.